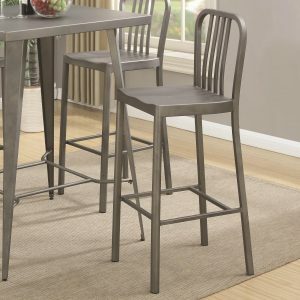 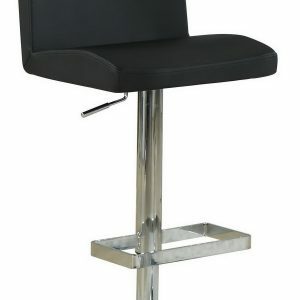 Add a funky style to your bar area or pub table with a set of these modern bar stools. 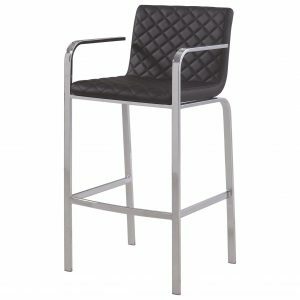 Seat cushion, backrest, and armrests are covered in a durable leather-like vinyl for long-lasting comfort and appeal. 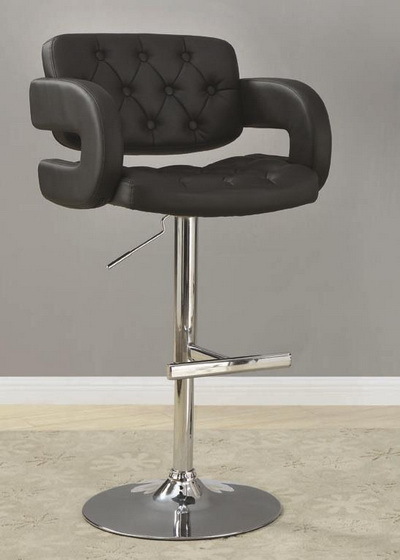 Featuring an adjustable height lever, this seat can extend to 46″ for individualized comfort. 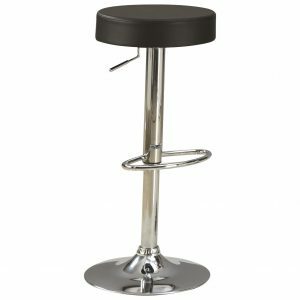 A thick metal pedestal, base, and built-in footrest are finished in a high polished chrome for retro flair with long-lasting durability.